Enjoy three and a half hours of surfing at Byron Bay as a fully accredited surfing instructor takes you through the steps to standing up on your board. Nowhere else in Australia is there such a diverse range of perfect rolling beginner waves than in Byron Bay. This unique hippy town is full of all walks of life and is a must do on any true backpackers list. For three and a half hours a fully accredited surfing instructor will teach you some great basic surfing techniques like paddling, catching waves and standing up. 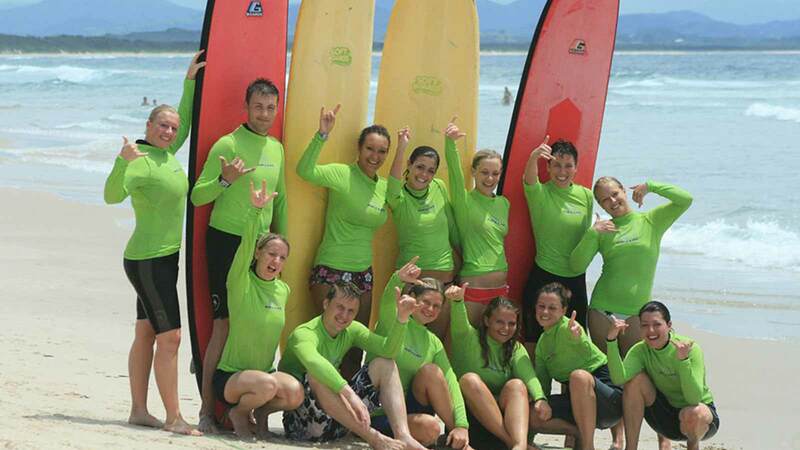 They will also offer knowledge in understanding the waves, currents and tides to keep you safe whilst learning to surf. Tour operates daily at either 10am or 2pm from 29 Shirley Street in Byron Bay.